In our previous posts we have discussed about scouring produced foundation failure of different bridges of New Zealand. Our aim is, here, same and our concern is United States. 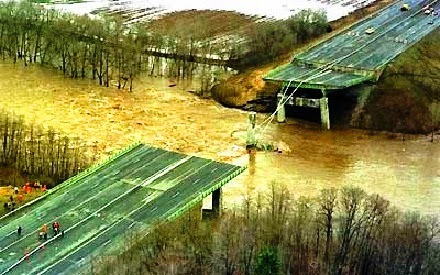 Scouring during floods and sometimes are the main causes of foundation failure of bridges in United States. Location: On Schoharie creek in New York near vicinity of fort hunter. Melting water of snow together with heavy rainfall produced cumulative foundation scouring which led to collapse of this bridge. Five vehicles were on the bridge at this time and bodies of victims were found downstream throughout three weeks. 10 people were killed during this collapse. This was one of the most catastrophic failures due to foundation scouring of bridges. on Los Gatos creek in the vicinity of Coalinga, California. Date of failure: 10th march, 1995. Location: prairie country in the vicinity of Saugus, Montana. Date of failure: 19th June, 1938. 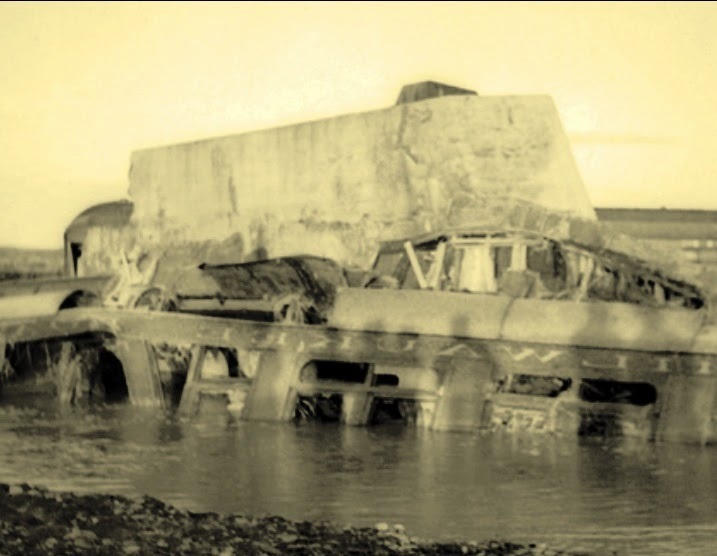 The velocity and volume of flowing water reached beyond expectation which led two of pier at central portion to undermine, the weight of locomotive passing over the rail bridge resulted subsidence of bridge piers and finally total collapse occurred. 47 people (at least) killed. Location: Spanning over Cedar River in Iowa. Date of failure: 12th June 2008. 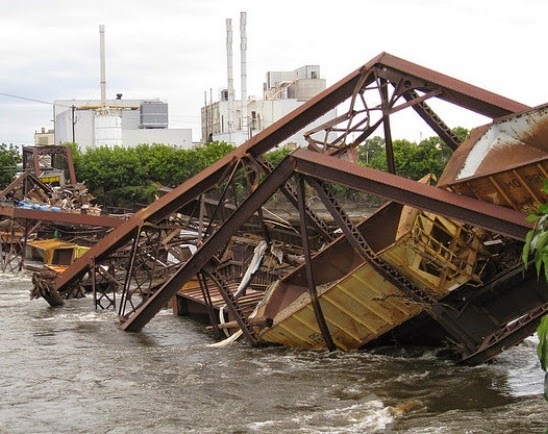 Causes of failure: Three steel spans out of total four spans were swept out. 15 rail cars of CRANDIC were swept with bridge. No injuries or life loss were recorded. 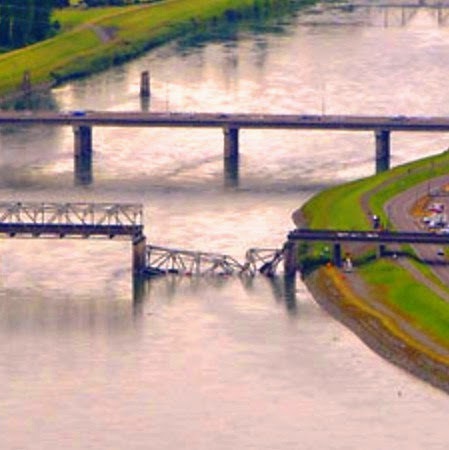 Of these bridge failures, collapse of Schoharie creek bridge drawn attention from Federal Highway Administration and they provided regulation to monitor conditions of scouring of bridge over all states of United States. Around 19% of federal emergency funds for Highway restoration work are required to restoration for bridges in United States. Within 1980-1990, the Federal Authority spent an average 20 million dollar per year for restoration of bridges and we know restoration works involve scouring of foundation elements.